you really not need to be scared because this are things your can do assuming your service provider or maintenance engineer is miles away from your premises. 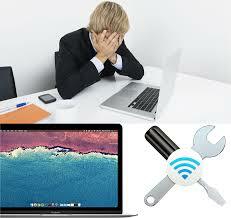 To fix problems with your wireless Routers / access point the following steps should be considered very carefully. Be certain that your service provider did not cut you off due subscription issues. Check the physical and hardware connections probably someone has pulled out your internet inlet. Restart your access point by switching it off for about 5 seconds: This solves problem with freezing router. Unplug the cables in the access point port and put them back to the same port probably the ports is freezing. Make sure your link is not congested with downloads. Check the link light indicator on the router. Confirm that your password and SSID did not change. If your are using MAC address, verify the MAC addresses. I have experience devices change mac adds especially android devices this might sound awkward but it true. Restart your device/ laptop or phone. Reset your router by holding hold down the reset button for 4 seconds. In all these you must certainly have your issues resolved but if issues persist you may need to contact your service provider for more assistance.